France has been trying to muscle its way into a senior NATO position traditionally held by the UK since Britain voted to leave the European Union last year. In the most recent chapter in a centuries old history of feuds between the two rival states, France is seeking to prevent a British general from becoming deputy supreme allied commander, a role that has been held by Britain almost continually since World War II. The move comes as Britain seeks to boost its influence in NATO in a bid to reassure the world that it is still a global player despite voting to leave the European Union. Government officials have ramped up their pro-NATO rhetoric in recent months, despite concerns that President-elect Donald Trump is unenthusiastic about the military alliance. NATO has been led by an American with a British officer serving as № 2 ever since Field Marshal Bernard Montgomery was handed the rank in 1951. After Brexit however, other European nations have been trying to muscle in on the top job. Paris sent an unofficial delegation to Washington last September to lobby US officials for the position. The Times reports that French officials told the Americans they would be better placed to be America’s special ally in Europe than the UK after Breixt. 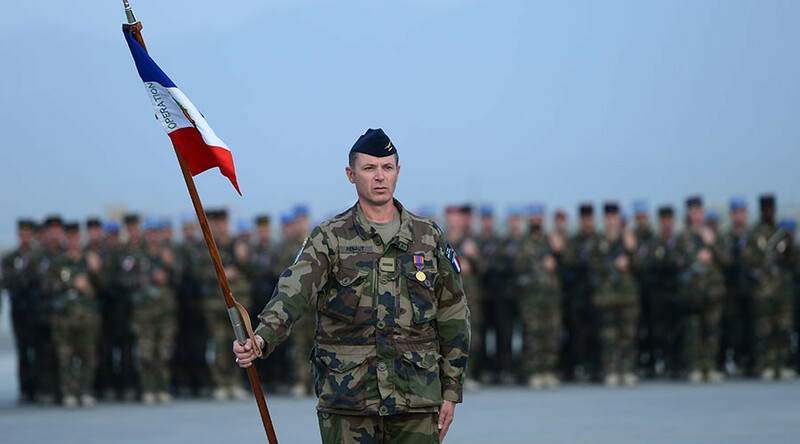 Several NATO member states are said to be informally discussing whether a British officer should retain the № 2 position in the alliance, the Times reports. The post, which is currently held by General Sir Adrian Bradshaw, will hand over to Lieutenant-General Sir James Everard in March. A recent report from the Royal United Services Institute (RUSI) has warned Prime Minister Theresa May against using Britain’s senior position in NATO as a “bargaining chip” in Brexit negotiations. RUSI Deputy Director-General Malcolm Chalmers said such tactics could undermine the alliance, which operates on the principle of collective self-defense. “There is already some discussion of the possibility that the assignment of the position... might have to be transferred to a NATO member that is a member of the EU,” he wrote. The PM is keen to promote Britain’s role in NATO after Brexit. Speaking to Sky News on Sunday, May confirmed that the UK would come to the assistance of NATO allies like Estonia if they were invaded by Russia. “Article 5 of NATO says that we do go to the support of any NATO country that has military action against it,” May said. The PM insisted that the US “remains fully committed to NATO,” despite President-elect Donald Trump’s election campaign pledge to roll back funding for the alliance. “We have to pay a lot less towards the NATO,” Trump told CNN last March.